I was lucky enough to get to go to the Sew South Retreat this year, hosted and organized by the lovely Jennifer Mathis of Ellison Lane. One of my favorite things was that everyone who went took the same classes together. 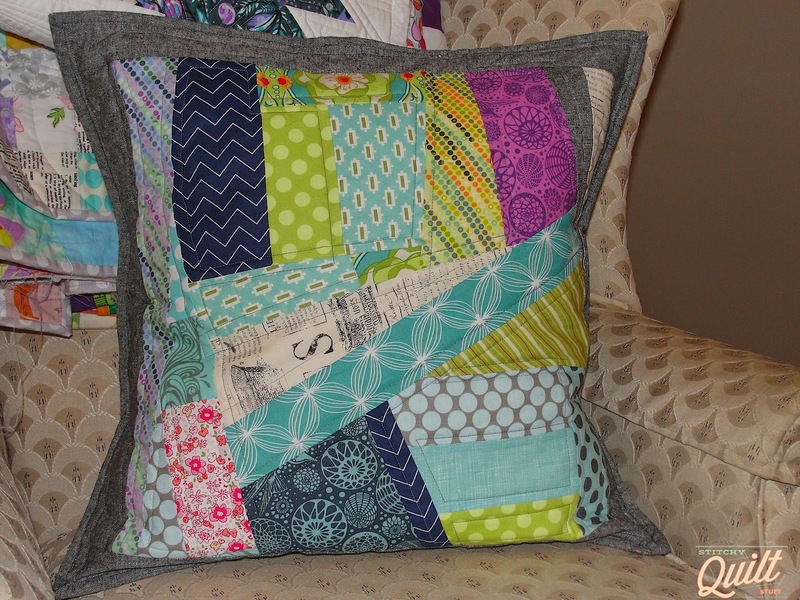 This scrappy improv pillow class was taught by Kati (From The Blue Chair), and it was so fun to see how different everyone's projects turned out! Kati told us to bring a bag of scraps to use to make our pillow, and I pulled (mostly) greens, blues and purples. 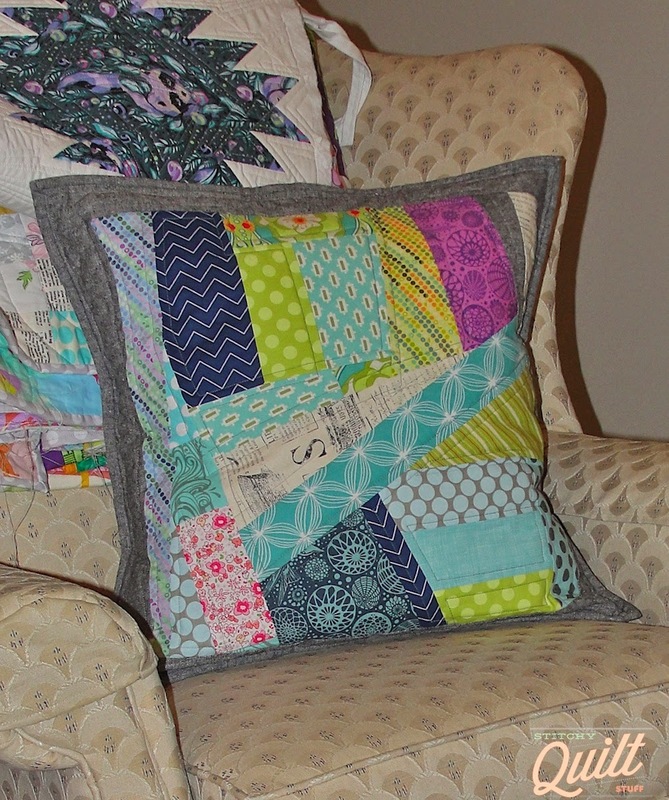 That little piece of pink floral snuck in somehow, and I had to use it - - it's one of my favorite scraps! That piece of text print in the middle was rescued from the trash can at Sew South! Total dumpster diving score! 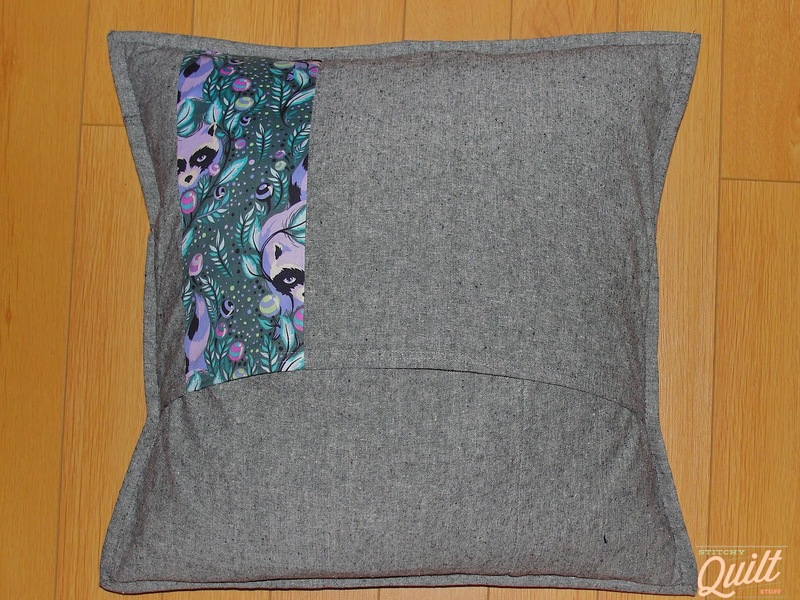 I've always sewn my pillows right sides together and then turned out to finish, but I decided to bind this one. 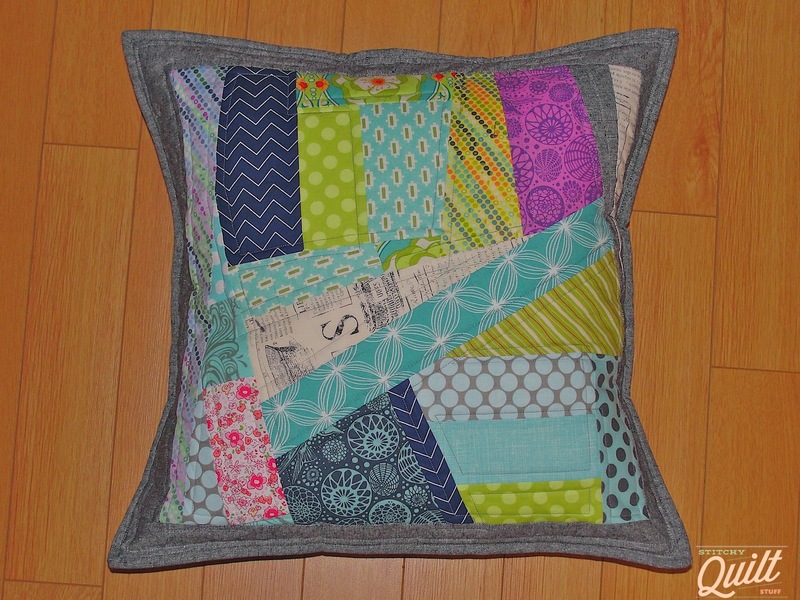 I'd been seeing a lot of bound pillows online and really loved the look, so I decided to give it a shot. 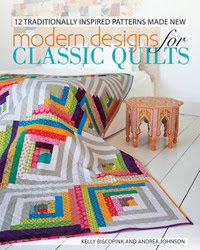 I love how the binding looks on this - - a very clean finish. The back is a simple envelope style. I used Essex yarn dyed black, with a piece of my favorite Tula Pink Accacia raccoons thrown in, too. I wish I had decided to bind the one I am working on. It looks great. I've again foolishly chosen to wrestle with piping. I never learn.